We go beyond the traditional definition of “personal training”, not just helping you get in shape, but helping you set broader life goals – then we help you achieve them. We work with you in a way that is both personal and highly customized, focusing on understanding short and long-term goals and then designing a path to help you achieve them. Jake draws on his personal experiences with training, racing, diet and lifestyle augmented by specific certifications and education to provide a rich and varied training experience. His style is encouraging and fun, instilling confidence that you can attain and often exceed the goals you set for yourself. We look not only at fitness goals, but your overall goals for health and well-being. This includes helping you focus on free, whole body movement so your activities are fun, comfortable, safe and sustainable over many years. At FÔRM we pride ourselves in helping clients attain their fitness goals. With 35 plus years of combined experience we specialize in functional movement and strength training for everyday life. Please contact us for more information or to setup a strategy to start achieving your goals. 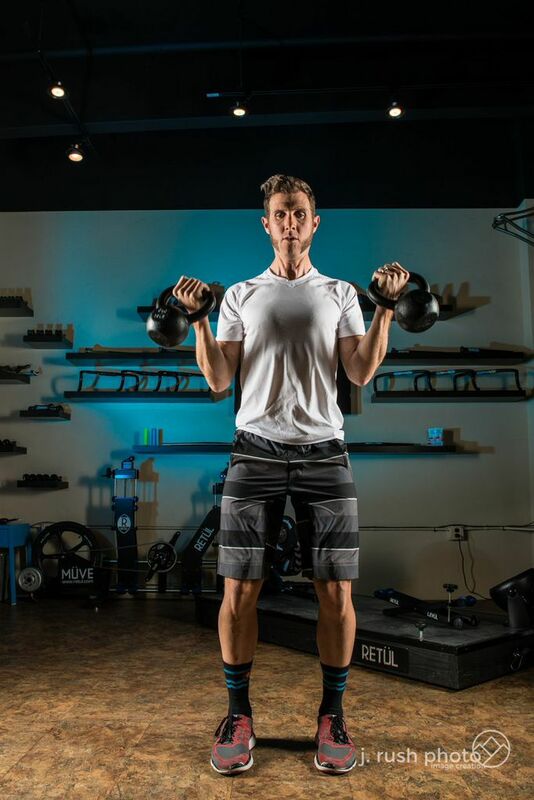 Jake has certifications with ACE, Retül, and Training Peaks and has more than 10 years of experience working with top level athletes. In addition to his coaching expertise, he is a multi time National Champion in cyclocross and mtn biking and he spent his collegiate running career at Missouri Southern State College.